Today: Forget the Swedish and their pancakes. Forget the French and their toast. In the arena of skillet-cooked breakfast goods from across the Atlantic, the Dutch and their babies reign supreme. I grew up in a family that treated the Dutch baby with reverence. It was a blessed day whenever my mother pulled an egg-y, cake-y, puffed yellow mass from the oven, a welcome sight at any hour. In my house, a Dutch baby functioned equally well for breakfast or breakfast-for-dinner, and leftover slices kept in the fridge rarely survived the night. We smothered our pieces with maple syrup and powdered sugar (even for dinner) and relished in finding the little pockets of warm butter, unincorporated into the mix, that spilled from the crevices we found with our forks. In the grace we said before we ate, the silent additional prayer in all of our minds was a thanks that my mom saw syrup cake as a totally normal meatless Monday option. Praise. 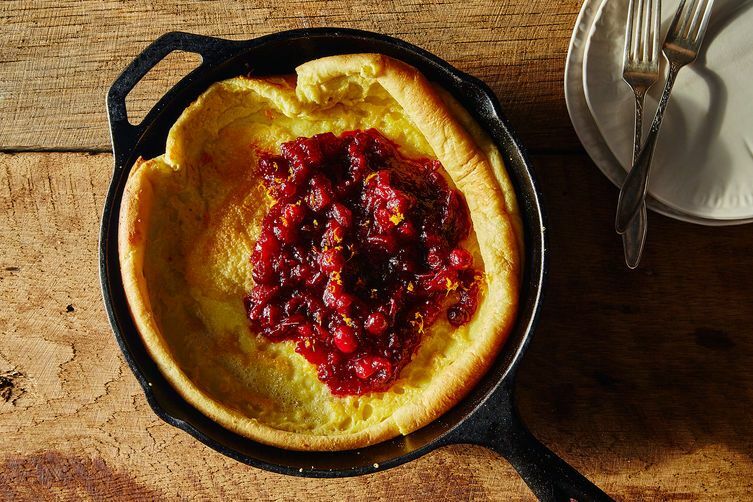 More: If you love Dutch babies, you'll also love David Eyre's Pancake. Debate rages amongst D.B. enthusiasts about which form of the dish reigns supreme -- thick and baked up like a casserole, or the very strange sort of thin sliver variety. Clearly my allegiance is with the former. If Dutch baby is pizza, I am Chicago all the way -- which is the inverse of how I feel about actual pizza. Whichever form of the dish you prefer (using the recipe below or your own family tradition), try it with a cranberry orange compote, the only stray holiday vestige I can stand to whip up even into the new year. I was just thinking I was going to make a Dutch baby for dinner... because what is the point of being an adult if not for breakfast for dinner? 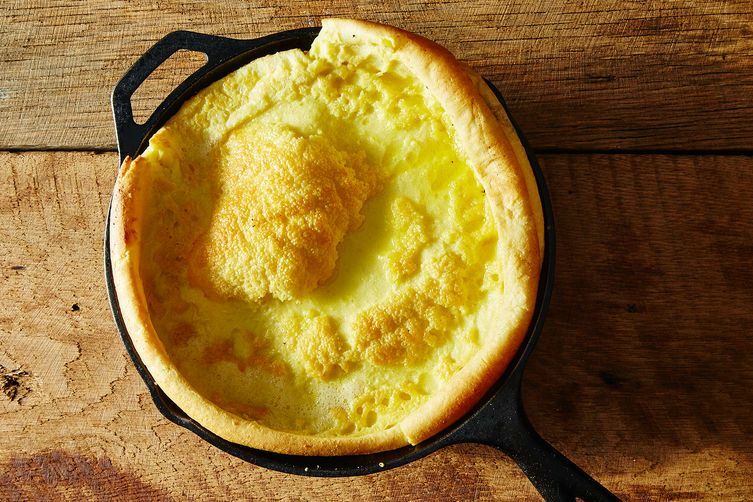 Also, I believe Dutch babies are named for the Pennsylvania Dutch, aka German American immigrants, which probably explains why they're sometimes called German pancakes. We called these German pancakes in my house. Yum! I use the same recipe as above, but I add about a heaping quarter teaspoon of salt. I'm a Dutchie myself, and I have noo idea what this is, never seen it before, haha. Ah well, I bet it's delicious. Heavenly! With cinnamon-sugar apple compote too!